This is a one-time purchase, and you will use the same kit for the entire All About Reading series. Note: The Reading Interactive Kit is not needed for the Pre-Reading program. 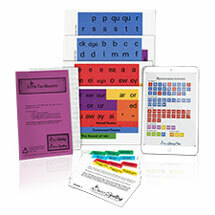 The All About Reading program is multisensory, and the Reading Interactive Kit contains components that enable your child to learn through sight, sound, and touch. 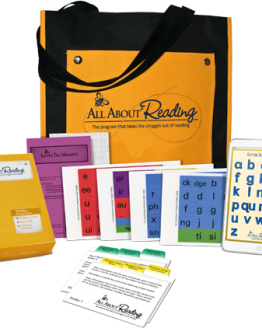 All items in the Basic Reading Interactive Kit are non-consumeable and reusable. 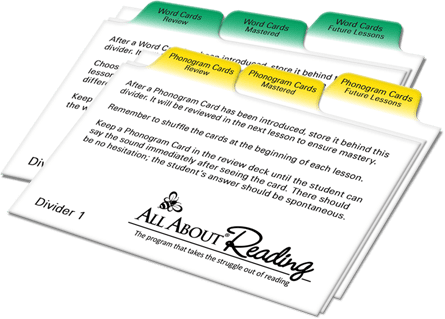 Please note: If you already have a Spelling Interactive Kit from the All About Spelling program, you only need to purchase the Reading Divider Cards to complete your Reading Interactive Kit. 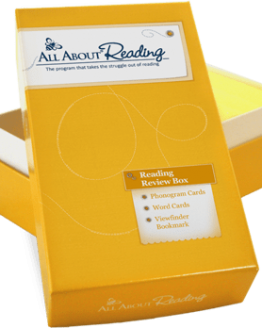 You may also wish to add the Reading Review Box to your order to store and organize the flashcards from the All About Reading program. Both The Divider Cards and Reading Review Box are available for purchase individually. Please contact us for prices.